Sometimes you will be asked to submit personal information about yourself (e.g. name and e-mail address) in order to receive or use services on our website. Such services include enquiring about a product. By entering your details in the fields requested, you enable us to provide you with the services you select. Whenever you provide such personal information, we will treat that information in accordance with this policy and when using your personal information the we will act in accordance with current legislation and aim to meet current Internet best practice. Common with other websites, log files are stored on the web server saving details such as the visitor's IP address, browser type, referring page and time of visit. Cookies may be used to remember visitor preferences when interacting with our company website, example: A cookie will be stored when you are using of property search to remember language, currency preference and properties you have added to a shortlist. No registration is required on our website and no payments are taken. The only time any information is stored is when a visitor enquires about a property or one of our contact forms is submitted. This information is not stored on any of our servers, but only in our company database of people searching for property. The information is used solely to inform visitors that have enquired about a property through our website to offer more information and potential viewings of properties marketed by Jubilee Estates S.L. E-mail addresses will not be sold, rented or leased to any 3rd parties. E-mail may be sent to inform you of news of our services or offers by us or but none of our affiliates. Regarding enquiries: Only when the listed property does not belong to Platinum Holiday Rentals will you be contacted by one of our partnering Estate Agents. If you are aged 16 or under, please get your parent/guardian's permission beforehand whenever you provide personal information to Platinum Holiday Rentals website. Users without this consent are not allowed to provide us with personal information. When you supply any personal information to "Platinum Holiday Rentals" we have legal obligations towards you in the way we use this data. We must collect the information fairly, that is, we must explain how we will use it and tell you if we want to pass the information on to anyone else. In general, any information you provide to us will only be used within "Platinum Holiday Rentals" and by its agents and service providers. Your information will be disclosed where we are obliged or permitted by law. Also, if you post or send offensive, inappropriate or objectionable content anywhere on or to "Platinum Holiday Rentals" or otherwise engage in any disruptive behaviour to "Platinum Holiday Rentals", we can use whatever information available to us about you to stop such behaviour. This may involve informing relevant third parties such as your employer, e-mail / Internet provider and law enforcement agencies about the content and your behaviour. We will hold your personal information on our systems for as long as you use the service you have requested, and remove it in the event that the purpose has been met. We will ensure that all personal information supplied is held securely, in accordance with the UK Data Protection Act 1998. We will not contact you for promotional purposes, such as notifying you of improvements to the service or new services on "Platinum Holiday Rentals" unless you specifically agree to be contacted for such purposes at the time you submit your information on the site, or at a later time if you sign up specifically to receive such promotional information. During the course of any visit to "Platinum Holiday Rentals", the pages you see, along with a short text file called a 'cookie', are down loaded to your computer. Many websites do this, because cookie senable website publishers to do useful things like find out whether the computer (and probably its user) has visited the website before. This is done on a repeat visit by checking to see, and finding, the cookie left there on the last visit. Information supplied by cookies can help us to provide you with a better online user experience and assist us to analyse the profile of our visitors. For example, if you perform asearch your search criteria will be stored in a cookie, and on your second and subsequent visits we can reinstate your previous search criteria. A cookie is a small amount of data, which often includes an anonymous unique identifier that is sent to your browser from a website's server and stored on your computer's hard drive. Each website can send its own cookie to your browser if your browser's preferences allow it, but (to protect your privacy) your browser only permits a website to access the cookies it has already sent to you, not the cookies sent to you by other sites. Many sites do this whenever a user visits their website in order to track online traffic flows. Cookies record information about your online preferences. Users have the opportunity to set their computers to accept all cookies, to notify them when a cookie is issued, or not to receive cookies at any time. The last of these, of course, means that certain personalised services cannot then be provided to that user and accordingly you may not be able to take full advantage of all our features. Each browser is different, so check the "Help"menu of your browser to learn how to change your cookie preferences. If you have set your computer to reject cookies you can still browse "Platinum Holiday Rentals" anonymously until such time as you wish to register for a "Platinum Holiday Rentals" service. For further information on cookies please visit www.aboutcookies.org. For more information about cookies see below. 'Strictly Necessary' cookies let you move around the website and use essential features like secure areas, shopping baskets and online billing. These cookies don't gather any information about you that could be used for marketing or remembering where you've been on the internet. Identify you as being logged in to "Platinum Holiday Rentals"
There are no cookies in this category. You can control whether or not these cookies are used, but preventing them may mean we can't offer you some services, and will reduce the support we can offer you. It's also possible that preventing these cookie's stops us remembering that you didn't want a specific service. Please Note: Disabling cookies via your web browser is not recommended as this will prevent most websites and services from working. 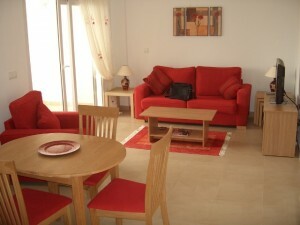 By using www.platinumholidayrentals.com, you signify your acceptance of this policy. 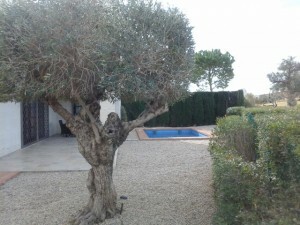 If you do not agree to this policy, please do not use www.platinumholidayrentals.com. Your continued use of the Platinum Holiday Rentals website following the posting of changes to this policy will be deemed your acceptance of those changes. "This lovely two bedroom one bathroom apartment on the second floor has stunning views of the area an..."
"A stunning two bedroom three storey front-line villa with panoramic views of the golf course and the..."